Train for 8 weeks under the watchful eyes of the boxing coaches at The Fighting Tigers Gym and compete in a White collar boxing match against someone of similar age and ability at the Sussex Coast College in front of friends and family. All the information you will need to prepare for the event will be given including nutritional advice, kit essentials and training you can do in your own time. This challenge is open to males and females and you will get 8 weeks (16 sessions) training completely free, you will be taught from the very beginning and be given everything you need for your big night ahead, as well as your VCBC lessons you will have the opportunity for extra tuition at a subsidised rate to get you in the best shape you can be in. Out of the Blue’s mission is to raise awareness of depression and mental illness and the effects of suicide and bereavement. Out Of The Blue is a fundraising body established in memory of Will Beckett who took his own life at Beachy Head in January 2013, at the age of 42. This tragedy came as an incredible shock for his family and friends – it came simply ‘Out Of The Blue’. In the immediate aftermath of Will’s death, his family were supported, guided and inspired by three charities – Winston’s Wish, Dragonflies and The Beachy Head Chaplaincy Team. Out Of The Blue raises money to support these charities so they can help others like the Becketts. OotB have recently added CALM – The Campaign Against Living Miserably to their portfolio. The venue for this event is Sussex Coast College. This versatile building is the ideal venue for the event. 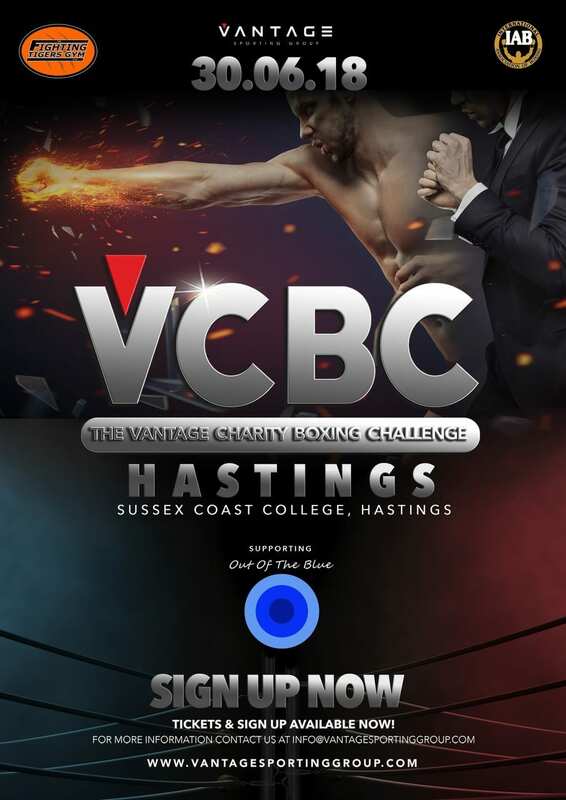 ENTRANTS FOR VCBC HASTINGS ARE NOW CLOSED, THANK YOU FOR ENTERING.